The Apple Watch has become an incredibly popular product since its introduction in 2015. It’s gone from a niche watch for Apple fans to a mainstream fitness tracker, and the latest Apple Watch Series 4 takes things a step farther with a new design. The Apple Watch and its various bands, chargers, docks, and more are bound to be some of the most popular gifts this holiday season. These are some of our favorite ideas for Apple Watch gifts. The Apple Watch itself will undoubtedly be a popular gift this shopping season. Apple sells both the Apple Watch Series 3 and Apple Watch Series 4, and there are a few things to consider when it comes to deciding between each of them. The Apple Watch Series 3 with GPS is the most affordable way to enter the Apple Watch ecosystem this year. Apple sells the device for $279 in 38mm and $309 in 42mm. The Series 3 model includes enhancements such as more internal storage, Siri with a voice, and Apple’s S3 processor. If you opt for an Apple Watch Series 3 with LTE support, you’ll spend $379 for the 38mm and $409 for the 42mm. Whether or not you, or whoever you’re buying for, needs LTE connectivity depends largely on how the device will be used. For instance, if you hope to be able to go without your iPhone, LTE connectivity is a must-have. Note that LTE also comes with a $10 per month fee through your carrier. The Apple Watch Series 3 is a great value, though you do miss out on the sleek new design of the Series 4. The Apple Watch Series 4 is sold in 40mm and 44mm sizes, which means you get more screen real estate because of display stretching closer to the edges. Other enhancements to the Series 4 include new Infograph watch faces, improved Bluetooth, integrated ECG (launching soon), longer battery life, and more. The Apple Series 4 in 40mm runs $399 for GPS and $499 for GPS + Cellular. The Series 4 in 44mm starts at $429 for GPS and $529 for GPS + Cellular. While every Apple Watch you buy from Apple includes a band, it’s great to diversify your collection for different situations. This includes working out, heading to a classier event, and more. Thankfully, a variety of third-party and first-party Apple Watch bands exist. Personally, I am a big fan of the Apple Watch sport loop band. Apple sells it in a variety of colors for $49, and its stretchy material makes it an excellent workout companion. My top pick this holiday season is the sport loop in (PRODUCT)RED. It was only recently introduced by Apple and is incredibly sleek. Another popular first-party option is the Milanese loop. Apple sells this one in space black, silver, and gold for $149. It’s certainly pricier than the sport bands from Apple, but it’s a great option for dressing up. Of course, a variety of third-party Milanese bands also exist. Your mileage may vary with these, but they start at much lower prices than Apple’s first-party option. If you’re looking for a leather Apple Watch band, Apple’s first-party leather loop band is available for $149. One of our favorite accessory brands is Native Union, which sells a sleek and versatile leather Apple Watch strap starting at $49.99. For more of the best Apple Watch bands, check out our full roundup right here. The Apple Watch features a unique magnetic charging puck that can be a bit cumbersome to manage on its own. There are a handful of accessories out there to make Apple Watch charring a bit more sleek. One of the most basic options is the Spigen S330. This would make a great stocking stuffer for any Apple Watch user. Another fun choice at the lower-end of the market is the classic Mac-inspired Elago W3 stand. Note that both of these require you to supply your own charging cable. Another unique option is the Oittm 3-in-1 charging dock. This dock integrates three additional USB ports, allowing you to also juice up your iPhone and other accessories. At the higher end of the market is the Nomad Base Station Apple Watch Edition. This gives you an AirPower-like charging mat with an integrated Apple Watch charger. As we wait for AirPower – or wait for an announcement about its death – this is a great alternative from Nomad. If you’re looking for a portable Apple Watch charger with a built-in battery, the Ugreen Portable Charger is a great option. It also has enough juice to add some power to your iPhone, as well. Another unique charging option comes from Twelve South. Its TimePorter for Apple Watch doesn’t is a great way to charge your Apple Watch while on the go, and includes storage options for extra bands and cables. Other popular Apple Watch gifts are bound to include cases and screen protectors. I’m not a huge proponent Apple Watch cases and screen protectors, but we all know the person who will almost immediately destroy theirs without an added layer of durability. If you know someone who already owns a vast collection of Apple Watch bands, this storage case is both an outrageous and incredibly sleek option for band organization. There’s also this more portable option from Zero Mass that can hold up to 8 different Apple Watch bands while traveling. While the Apple Watch supports native heart rate monitoring, one popular accessory is the Polar H10 monitor. For someone who already owns an Apple Watch, this is a great way to take activity tracking to a new level. If you’re not in the market for an Apple Watch gifts this holiday season, there are a few other things worth considering. 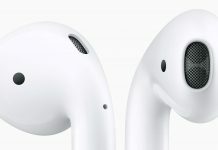 Even though we’re nearing the release of a new model, the first-generation AirPods are still an excellent choice this holiday season. I think they’re the best product Apple has made in a long time, and they make a perfect Apple Watch or iPhone companion. One thing I’ve done over the past year is fully make the jump to a smart home. Zac did an excellent job of rounding up some of the best smart home accessories, so be sure to check that out. One of my top picks is the VOCOlinc HomeKit-enabled power strip. This is an affordable way to turn a handful of ‘dumb’ accessories smart. I’ve been interested in the Molekule Air Purifier for a while now. It’s certainly a pricey accessory, but it’s got a gorgeous design that fits right in with your aluminum range of Apple products. Apple made its space gray Mac accessories available as standalone purchases earlier this year. Personally, I’ve not been able to justify buying them myself, but if someone generous is shopping for me, then the Magic Keyboard and Magic Trackpad in space gray are near the top of my list. I’m a huge fan of the 9.7-inch iPad and think it will be one of the most popular gifts this year. It’s one of the best values for an Apple product in a long time. For someone who doesn’t need the power and accessories of the iPad Pro, the 9.7-inch iPad is the no-brainer iPad choice. Additionally, I’m fond of the Logitech Crayon and Logitech Create Keyboard as 9.7-inch iPad accessory alternatives. Another product I’ve been mulling purchasing myself is a smart scale. The Nokia Body Wi-Fi Scale is one of our top picks here at 9to5Mac and integrates with Apple’s Health app on iOS.